Balloon Typhoon Clown. The Balloon Typhoon Clown Face is suit for all ages of childrens. Easy to install, inflate and deflate. Find the complete details about Balloon Typhoon Clown Face, please giive us a call or contact us by email. The Pillow Bash is suit for all ages of childrens. Easy to install, inflate and deflate. Find the complete details about Pillow Bash, please giive us a call or contact us by email. The Sumo Playground is suit for all ages of childrens. Easy to install, inflate and deflate. 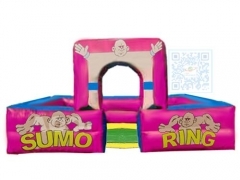 Find the complete details about Sumo Playground, please giive us a call or contact us by email. Pencil Game, Indoor Sports Games. The Team Games Inflatables is suit for all ages of childrens. Easy to install, inflate and deflate. Find the complete details about Team Games Inflatables, please giive us a call or contact us by email. Team Games,Sumo Wrestling Suits. The Team Games Inflatables is suit for all ages of childrens. Easy to install, inflate and deflate. Find the complete details about Team Games Inflatables, please giive us a call or contact us by email. Team Games,Pants Trio Games Triple Trousers. The Team Games Inflatables is suit for all ages of childrens. Easy to install, inflate and deflate. Find the complete details about Team Games Inflatables, please giive us a call or contact us by email. Team Games,See who can jump quickly,Airtight Style Caterpillar Games. The Team Games Inflatables is suit for all ages of childrens. Easy to install, inflate and deflate. Find the complete details about Team Games Inflatables, please giive us a call or contact us by email. Disneyland Inflatable Combo,Snappy Dragons Castle,Princess Party Inflatables. The Snappy Dragons Castle is suit for all ages of childrens. Easy to install, inflate and deflate. Find the complete details about Disneyland Princess Party Inflatable Snappy Dragons Castle, please giive us a call or contact us by email. Disneyland Inflatable Combo,Princess Party Inflatable Obstacle,Princess Party Inflatables. 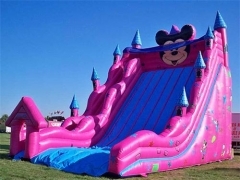 The Disneyland Princess Party Inflatable Obstacle is suit for all ages of childrens. Easy to install, inflate and deflate. Find the complete details about Disneyland Princess Party Inflatable Obstacle, please giive us a call or contact us by email. Disneyland Inflatable Slide,Mickey Mouse Inflatable Slide,Princess Party Inflatables. The Disneyland Mickey Mouse Inflatable Slide is suit for all ages of childrens. Easy to install, inflate and deflate. Find the complete details about Disneyland Mickey Mouse Inflatable Slide, please giive us a call or contact us by email. Disneyland Combo,Circus Troup Moonwalk Caslte Combo,Princess Party Inflatables. The Disneyland Combo is suit for all ages of childrens. Easy to install, inflate and deflate. Find the complete details about Disneyland Moonwalk Caslte Combo, please giive us a call or contact us by email. Disneyland Mini Bouncer,Princess's Helicopter,Princess Party Inflatables. The Disneyland Mini Bouncer is suit for all ages of childrens. Easy to install, inflate and deflate. Find the complete details about Disneyland Mini Bouncer, please giive us a call or contact us by email. Disneyland Inflatable Slide, Disneyland Carp Mouth Escape, Princess Party Inflatabe Slide. The Disneyland Inflatable Slide is suit for all ages of childrens. Easy to install, inflate and deflate. Find the complete details about Disneyland Inflatable Slide, please giive us a call or contact us by email. The Spiderman Style Bounce House Slide Combo is suit for all ages of childrens. Easy to install, inflate and deflate. Find the complete details about Spiderman Style Bounce House Slide Combo, please giive us a call or contact us by email. The Princess Bounce House Slide Combo is suit for all ages of childrens. Easy to install, inflate and deflate. Find the complete details about Bounce House Slide Combo, please giive us a call or contact us by email. The Princess Palace Jumping Castle is suit for all ages of childrens. Easy to install, inflate and deflate. Find the complete details about Princess Palace Jumping Castle, please giive us a call or contact us by email. Princess Carriage Castle, Princess Carriage Bounce House Slide Combo, Inflatable Bounce House Castle Combo. The Princess Carriage Bounce House Slide Combo is suit for all ages of childrens. Easy to install, inflate and deflate. Find the complete details about the Princess Carriage Bounce House Slide Combo. Please give us a call or contact us by email. Frozen 5 in 1 Bouncy Castle, 5 in 1 Frozen Bouncy Castle, Inflatable Bounce House Castle Combo. The 5 in 1 Frozen Jumpomg Castle Combo is suit for all ages of childrens. Easy to install, inflate and deflate. Find the castle details. Please give us a call or contact us with any questions you have! Disney Princess Castle, Disney Princess Jumping Castle, Disney Princess Castle Combo. The Disney Princess Jumpomg Castle Combo is suit for all ages of childrens. Easy to install, inflate and deflate. Give us a call or contact us with any questions you have! Freestyle Octopus Combo, Inflatable Octopus Combo. The perfect inflatable bounce house slide castle combo is great for any tropical themed party! Include Jumping Arena, Slide, Obstacle Courses & Basketball hoop, etc. Themed Party Inflatables, Octopus Combo. The perfect inflatable bounce house slide castle combo is great for any tropical themed party! Include Jumping Arena, Slide, Obstacle Courses & Basketball hoop, etc. Themed Party Inflatables, Baby Dino Lake Combo. The perfect inflatable bounce house slide castle combo is great for any tropical themed party! Include Jumping Arena, Slide, Obstacle Courses & Basketball hoop, etc. Farm Combo, Farm Bounce House Slide Combo. The perfect inflatable bounce house slide castle combo is great for any tropical themed party! Include Jumping Arena, Slide, Obstacle Courses & Basketball hoop, etc. Theme Party Inflatables, Dolphin Theme Bounce House Slide Combo. The perfect inflatable bounce house slide castle combo is great for any tropical themed party! 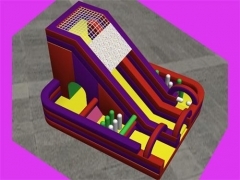 Include Jumping Arena, Slide, Obstacle Courses & Basketball hoop, etc. Octopus Castle Combo, Octopus Bounce House Slide Combo, Theme Party Inflatables. This Inflatable Combo is widely using for outdoor or indoor, family and playing center. OEM/ODM is welcome. Marub Theme Bounce House Slide Combo, Theme Party Inflatables. It is easy to install, inflate and deflate. Find the complete details about the Marub Theme Bounce House Slide Combo, please giive us a call or contact us by email. Theme Castle In The Night Garden, Theme Party Inflatables. It is easy to install, inflate and deflate. Find the complete details about the Theme Castle In The Night Garden, please giive us a call or contact us by email. 4 In 1 Bounce House Slide Combo, 4 In 1 Bounce House Wave Slide Combo. It is easy to install, inflate and deflate. Find the complete details about the 4 In 1 Inflatable Combo, please giive us a call or contact us by email. Inflatable Combo, 4 In 1 Bounce House Slide Combo. The 4 In 1 Inflatable Combo is suit for all ages of childrens. Easy to install, inflate and deflate. Find the complete details about the 4 In 1 Inflatable Combo, please giive us a call or contact us by email. 4 In 1 Bounce House Slide Combo, Inflatable Jungle Combo. The 4 In 1 Inflatable Combo is suit for all ages of childrens. Easy to install, inflate and deflate. Find the complete details about the 4 In 1 Inflatable Combo, please giive us a call or contact us by email. Inflatable Combo, 4 In 1 Jungle Bounce House Slide Combo. The 4 In 1 Inflatable Combo is suit for all ages of childrens. Easy to install, inflate and deflate. Find the complete details about the 4 In 1 Inflatable Combo, please giive us a call or contact us by email. Inflatable Zoo, Moonwalk, Castle Combo,Theme Rentals Inflatables. Great for all ages of childrens. Easy to install, inflate and deflate. Find the complete details about Inflatable fun city, please giive us a call or contact us by email. 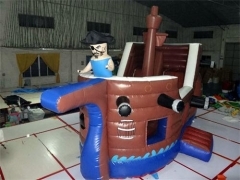 Pirate Ship Moonwalk, Pirate Ship Castle Combo,Theme Rentals Inflatables. Great for all ages of childrens. Easy to install, inflate and deflate. Find the complete details about Inflatable fun city, please giive us a call or contact us by email. Kraken Pirate Ship Moonwalk Castle Combo,Theme Rentals Inflatables. Great for all ages of childrens. Easy to install, inflate and deflate. Find the complete details about Inflatable fun city, please giive us a call or contact us by email.